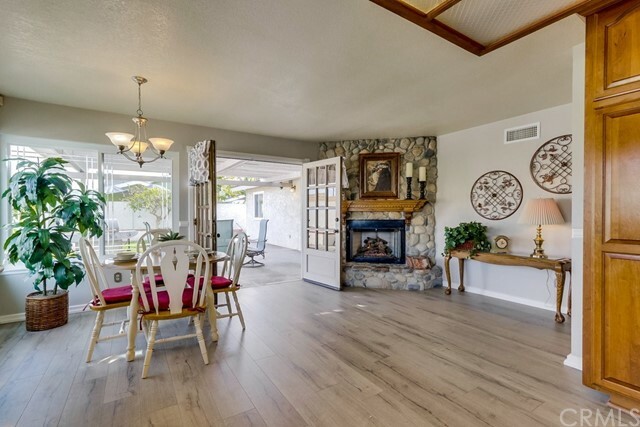 All Westminster homes currently listed for sale in Westminster as of 04/26/2019 are shown below. You can change the search criteria at any time by pressing the 'Change Search' button below. 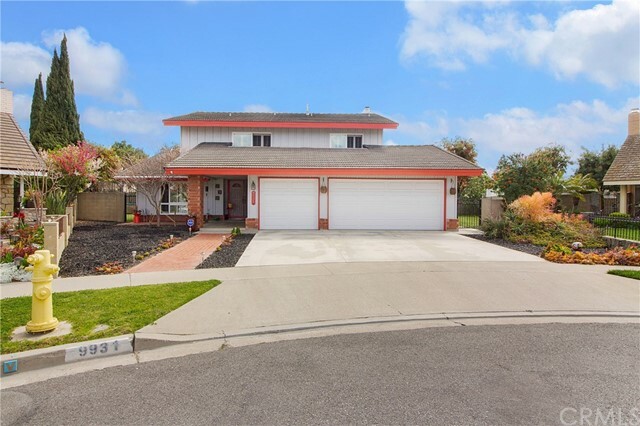 "Fantastic large 4 bedroom 3 CAR GARAGE home with 3338 SQ FT Living Space with large open floor-plan, upgraded large kitchen, upgraded bathrooms and tile flooring downstairs with carpet upstairs. This home situates on the rare cul-de-sac location with a hard to find giant sweeping backyard. The lot size is just under 10,000 square feet and has a garden storage building at the back of the property to keep supplies and storage! The enclosed private patio is perfect for the outdoor indoor living space that expands the house even more. The home has newer Vinyl windows and sliders, and has been freshly painted inside and out. Newer Heater and AC units and has sealed Beam LED lighting throughout the home and tons of storage including attic storage from two different bedroom areas. RV PAD capability on side of house with firmed up grass area on approach to the gate to support heavier weight. This home is A Must See!" "Gorgeous, Highly Upgraded Westhaven - Plan 400 (Most Popular) Home, w/4 Oversized Bedrooms (3 w/Walk-In Closets), 2.5 Remodeled Quartz & Designer Tile Bathrooms, 2578 SF, & 3 Car Finished Garage w/Built-In Storage/Workbench/Lighting. 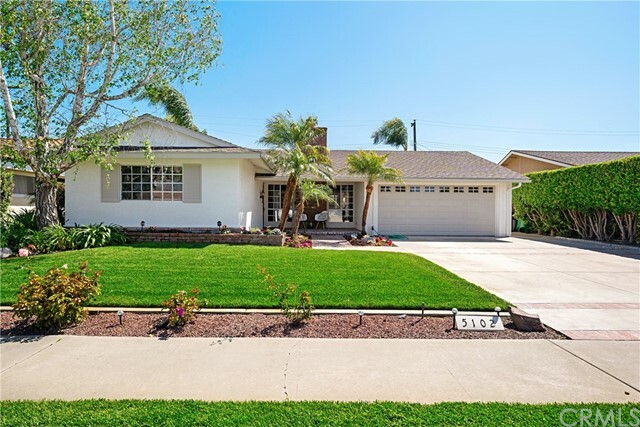 Situated on an Interior Corner Lot with Gated RV Access off Side Street, in Highly Desired Neighborhood on the Fountain Valley Border. Highly Upgraded Throughout, this Superb Home Features an Open, Spacious, Light & Bright Floorplan, Central A/C, All Newer Dual Pane Windows & Sliders, Custom 2-Inch Wood Blinds, Wood-Grain Tile Flooring Throughout Lower Level, Smooth Ceilings, Extensive LED Recessed Lighting, Exquisite Chandelier Light Fixtures, Raised Panel Interior Doors, High Base Boards, & Inside Laundry Rm. Artistic Custom Double Door Entry Opens to Formal Foyer & Huge Formal Living Room & Banquet-Size Formal Dining Room. Remodeled Contemporary Chef's Kitchen Boasts Quartz Countertops, State-of-the-Art Stainless Appliances, Coffered Ceiling, Large Pantry Alcove, & Spacious Breakfast Nook. Inviting Family Room has Stacked Quartz Fireplace and Office Niche - Perfect for Home Office while Still Participating w/Family. Master Suite w/Walk-In Closet has Expanded Luxurious Bathroom with Separate Tiled Shower & Free-Standing Soaking Tub, Quartz Vanity, & Tiled Walls. Golfer's Dream Backyard w/Putting Greens & Extra Large Covered Patio. Walking Distance to Mile Square Park. 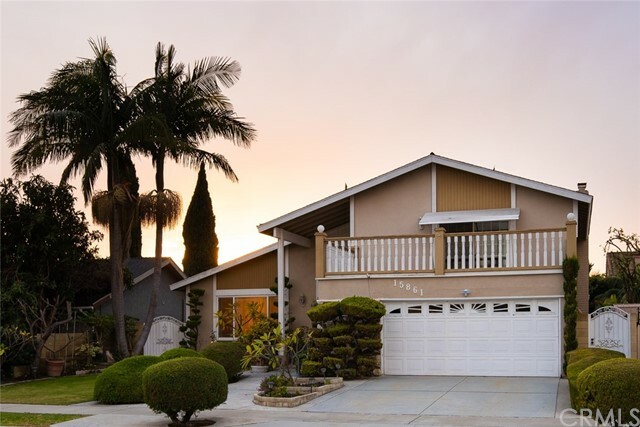 Close to Shopping, Dining, Recreation, Freeways, & Little Saigon." "PRICE REDUCED BY $30,000.00 !!! CUSTOM HOME BUILT IN 2014 APPROX. 2,204 SQ.FT. PRIME LOCATION IN THE HEART OF LITTLE SAIGON WALKING DISTANCE TO WESTMINSTER SUPERSTORE, BUSINESS DISTRICT, BELLA TERA, COSTCO. BEAUTIFUL & DISTINCTIVE WITH 4 MASTER BEDROOMS SUITES. LUXURY SINGLE FAMILY HOME, OPEN FLOOR PLAN WITH 15 FEET HIGH CEILING, 4 MASTER SUITES WITH WALK-IN CLOSETS AND 4 FULL BATHROOMS AND 6 CEILING FANS. UPSTAIRS 2 MASTER BEDROOMS VERY PRIVATE,(DOWNSTAIRS 2 MASTER BEDROOMS, 1 HUGH MASTER SUITE BEDROOM WITH 7 CROWN MOLDINGS AND WALK-IN CLOSETS) AND LIVING ROOM WITH 7 CROWN MOLDINGS, BEAUTIFUL KITCHEN WITH CABINET GRANITE COUNTER TOP WITH STAINLESS STEEL SINK, STAINLESS STEEL APPLIANCE SAMSUNG 5 BURNER GAS RANGE AND UPGRADED RANGE HOOD, HUGE GRANITE ISLAND AND PORCELAIN TILE FLOORING THROUGHOUT THE KITCHEN AND LIVING ROOM, ALL BEDROOMS WITH ENGINEERED WOOD FLOORING, DUAL PANE WINDOWS COVERING CUSTOM BLINDS AND WOOD SHUTTERS, (2) CENTRAL A/C & HEATER AND TANKLESS WATER HEATER. 2 CAR GARAGE WITH 504 SQ. FT. (DIRECT ACCESS). BEAUTIFUL FRONT AND BACK YARD HAS A LOT OF DRAGON FRUITS AND MANY MORE FRUIT TREES. THIS HOME IS SUPER CLEAN, COZY, IT S ABSOLUTELY READY TO MOVE IN." "Gorgeous updated home in Little Saigon close to schools, supermarkets and parks. The neighborhood is quiet, great for families with children and/or multi-generational living. Home comes with 4 bedrooms (including a huge master bedroom) and 4 full baths. The beautiful backyard has many tropical fruit trees, outdoor kitchen and a Jacuzzi. Great for entertaining friends and family. Home has a three car garage with a huge driveway. Move in condition. THIS GORGEOUS HOME IS A MUST SEE!!!" 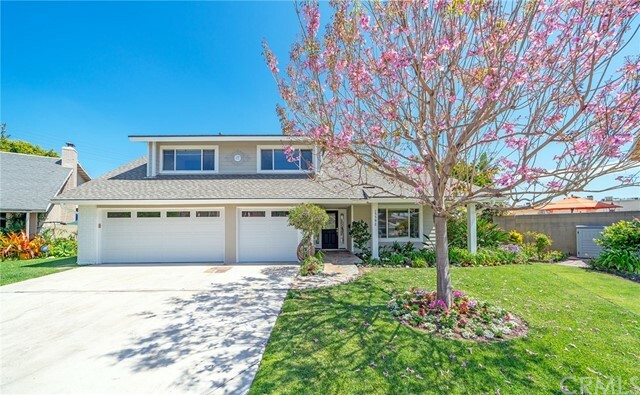 "First time on the market, this beautifully upgraded Westminster home located in a quiet cul de sac with an east facing door, enjoys natural light throughout the day. This S&S Home was the original model home for this tract. The generous floorplan has the potential to comfortably fit a multi-generational family with 4 bedrooms and the option to convert the bonus room into a second master bedroom and the downstairs den can also be converted into a bedroom. The exterior and interior have recently been repainted and the ceilings have been scraped and new recessed LED lighting installed. The double door entry opens into the living room with vaulted ceilings, engineered hardwood floors, large windows with plantation shutters and adjacent formal dining room. The expansive kitchen has ceramic tile flooring, granite counters, additional dining area, stainless steel appliances, including commercial grade 4 burner with griddle Wolf stove. Large sliding glass doors lead to the large backyard. Adjacent to the kitchen dining area is an intimate, sunken family room with fireplace. The home has a large driveway and 3 car garage each with individual remote. The tranquil backyard has a large meditation gazebo, raised masonry planter bed, well-manicured lawn and concrete slab and lots of storage space on the side of the home. Additional features include ADT ready, wired for security cameras & Culligan water softener and reverse osmosis system. The home is conveniently near Eastwood Elementary." "BEAUTIFUL LIVING. Shows like a model home. Completely remodeled in the most desirable area of Westminster. Front double entry doors with high ceiling. Beautiful open staircase, large front living room, large and cozy family room open to the upgraded kitchen with the best appliances and luxury granite counter top. Gorgeous master bathroom with designer natural stone and high end shower glass. Beautiful moldings and recessed lightings..... conveniently located close to Huntington Beach and Fountain Valley and Freeways. The list goes on and on and on and on! Must see to appreciate it!" "UNIQUE INVESTMENT OPPORTUNITY! 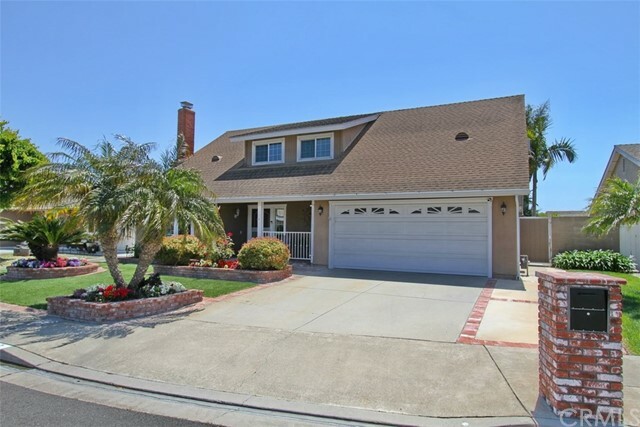 Single Family residence has 5 bedrooms, 3 baths in the heart of Little Saigon Area. Just few minutes to famous restaurants, super markets, and crowded business streets. Not far from Post Office, Churches, or Temples. Converted bedrooms are all permitted. The property are now for rents at $60,000.00 a year. Long term tenants are ready to move out in a couple of months, if new owner, want to use the property as residence." "An exceptional property located in one of the most sought-after areas of Westminster. Great open floor plan with newer custom and modern finishes completely transforming the home. It will not disappoint with its spacious floor plan, four generous bedrooms, and two and a half bathrooms. Stunning bamboo hardwood flooring can be found in the entry, living room, family room, and kitchen. The kitchen remodel includes quartz countertops, hardwood cabinets, matching finger printless appliance package and an entertainment center complete with a kegerator. The kitchen flows seamlessly into a large and comfy family room with a wood burning fireplace. All bedrooms including the master with its remodeled bath are on the second floor. Double pane windows with plantation shutters can be found though-out the home. 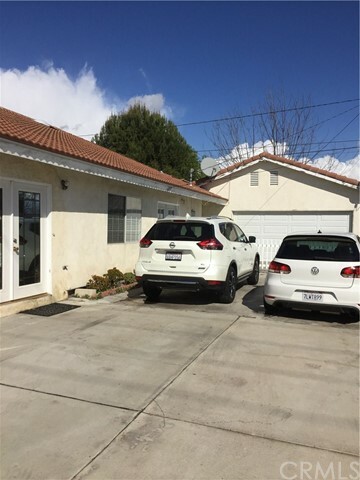 This property feeds into excellent schools, is close to freeways, Mile Square Park and all great dining opportunities in the surrounding area." 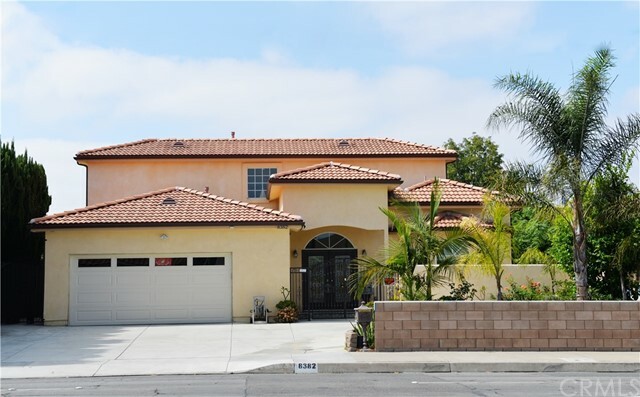 "Highly upgraded Showcase 5-bedroom, 4-bathroom home in Ocean View Elementary School District and Huntington Beach High School District. Remodeled kitchen with bay window and granite counter tops, stainless steel sink & gas stove overlooking private backyard with firepit and covered patio has a ceiling fan plus gazebo covered BBQ area great for entertaining. Casual dining area by kitchen. Two good sized bedrooms downstairs and two remodeled bathrooms. Spacious living room with fireplace and bay window and adjoining large formal dining area. 3 Bedrooms upstairs - large master suite with walk-in closet and extra a/c unit and 2 good size bedrooms, one bedroom used as a gym with extra a/c unit. Both upstairs bathrooms have been remodeled. Home features smooth ceilings, crown molding, raised panel doors, recessed lighting, ceiling fans, 5-ton air conditioning (2018), Lennox two stage furnace, newer water heater, dual pane windows & security system with cameras. Home has been recently painted with custom colors. Artificial turf installed in front and back yards with sprinklers on timer. Extra bonus 8,750-watt electric generator included. This home is move-in ready and well maintained by caring homeowners. Great location bordering FV & HB and close to Huntington Beach Bella Terra Mall, Freeways and short drive to Mile Square Park." 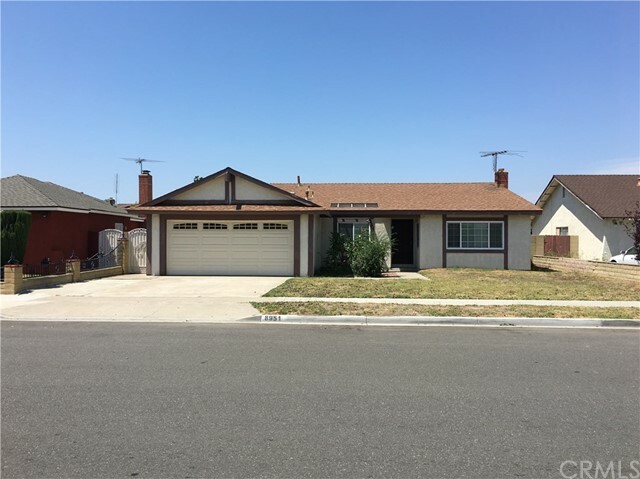 "Cali Home Realty is pleased to present the opportunity to own a great single family home in Westminster! This property has many attractive features that includes very spacious living, formal dining, family rooms and a first-floor bedroom and for your growing family. Private backyard has mature fruit trees, water fountain and a covered patio great for entertaining. Some interior highlights includes granite countertops, double doors, master bedroom with ensuite 4-piece bath, family room extension, walk-in closet, veranda and wall to wall wood laminate flooring. 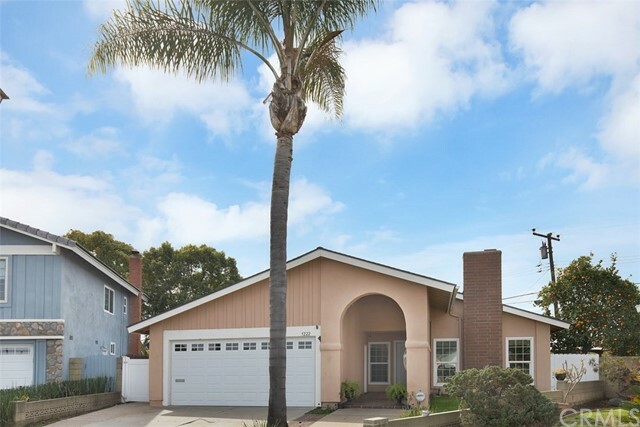 Located in vibrant neighborhood of Orange County, walking distance to schools, near shopping, groceries, parks, Little Saigon, Bella Terra, easy access to 405 freeway and those beautiful California beaches." "Estate of the Art Renovation from floor to ceiling was completed on 11/2015, Top of the line appliances, brand new kitchen and 3 bathrooms with quartz counter tops, wood floors, all new electrical/ plumbing systems were installed(rewire repining), include all drain and gas lines, energy efficient roof and dual pane Vinyl windows Brand new sprinkler system back and front yards. The property was remodeled following all requirements, permits and inspections. During renovation a permitted addition was added to the property increasing the square footage from 1218 SF to 1971 SF , tank-less water heater more than 40 LED recess lights (energy efficient) with dimmers. New 5 Ton AC system including new ducts, new furnace Huge driveway with plenty of parking. Back patio with stamped concrete. Kitchen cabinets with soft closing hinges and New gas lines , seamless rain gutters, new 200 AMP panel and much more.."
"You will fall in love with this fabulous Westside Westminster single level pool home. Embrace the open concept, extremely light and bright floorplan, with gorgeous chef's kitchen, vaulted ceiling family room, and newer dual pane windows/sliders throughout. 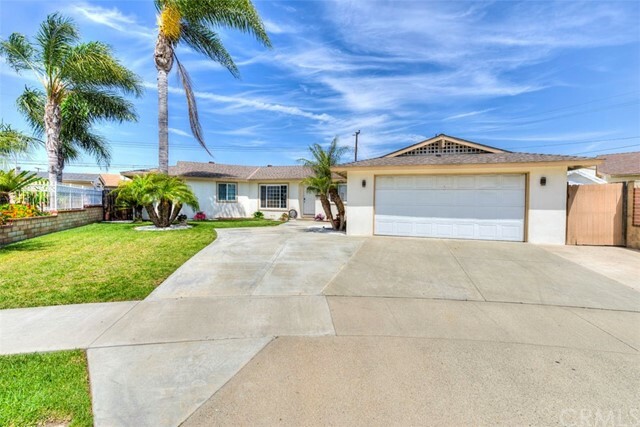 Newly updated flooring with recently painted interior and exterior, newer lighting fixtures, extra-large driveway for RV or boat, and a tropical oasis backyard with beautiful sun-drenched pool and spa. 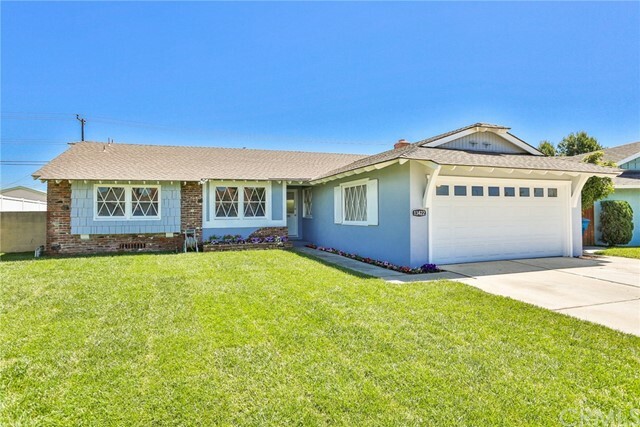 Close proximity to award winning Eastwood Elementary School and Bolsa Chica Community Park!" "A Bueatiful almost new home in Westminster, in a quiet, gated community of Westgate. Built in 2017 with 4Bedroom 3Bathroom and 6 car drive way total. An open and awesome great room , enjoy high-end stainless steel kitchen appliances,granite kitchen counters, giant island & serving counterand a vast dining and living area. There's one bedroom and one bathroom suite in the first floor. 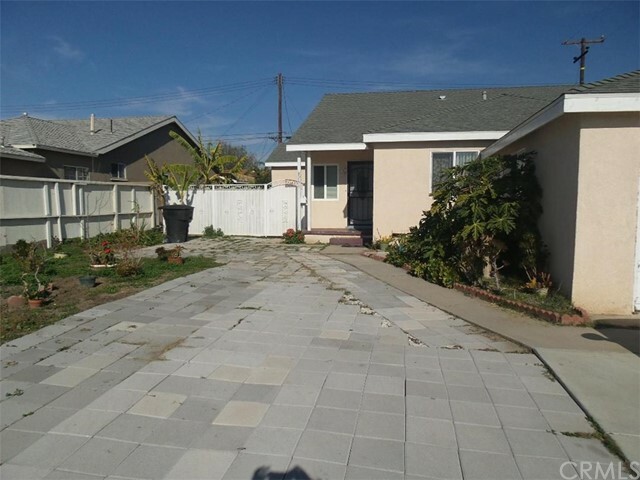 Walking to excellent school and easy to access to 405Freeway. Close to the Westminster Mall! Must See!" "Welcome to this beautiful turn key home. Enter a light, bright, open floor plan with scraped ceilings and new ceramic flooring in the kitchen and dining area. Amazing Red oak flooring throughout the interior of the property. Recessed LED lighting has been added in the living room, dining room, kitchen and hall way. The Kitchen has new cabinets with Stainless appliances and a Quartz counter tops. In addition, a complete sprinkler system has been added throughout the interior of the property. Remodeled bathrooms and fresh paint both interior and exterior. A must see!" "This is it! The ONE LEVEL, REMODELED, single family home with AIR CONDITIONING that you have been looking for to hit the market!! LARGE & PRIVATE BACKYARD. 2 car garage. Prime location at the end of a cul-de-sac in a fantastic neighborhood! Great school district. Three bedrooms, including a desirable master suite with two large walk-in closets, and a spacious living room for entertaining. Beautifully remodeled kitchen with stainless steel appliances and lots of cabinet storage. Remodeled bathrooms. Easy access to the 405. 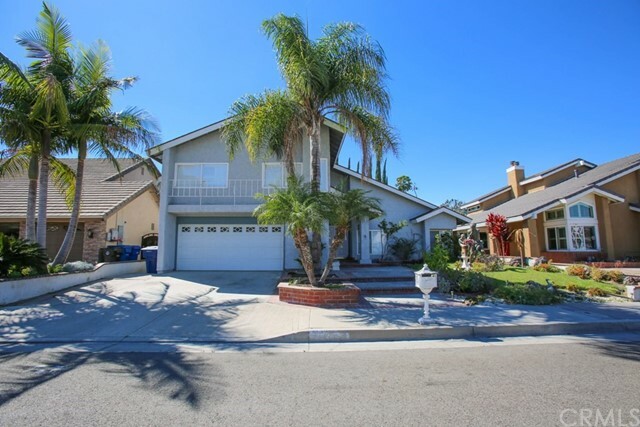 Convenient central location near Fountain Valley and beach cities like Huntington Beach. This home won't last long!" "Don't miss the opportunity to live in a desirable Westminster neighborhood!!! 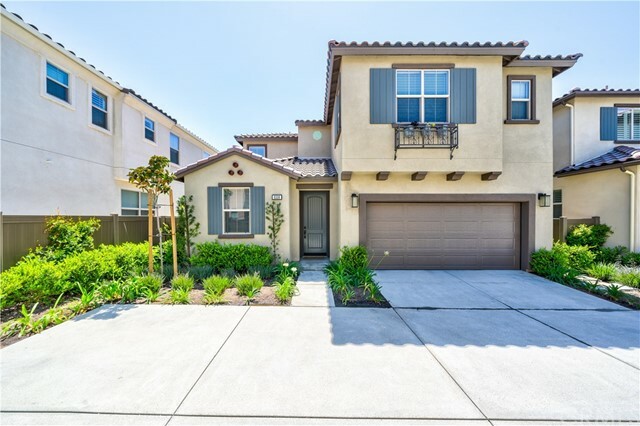 Minutes away from Little Saigon business district, Asian Garden Mall and Huntington Beach / Fountain Valley schools, shopping centers, parks, and fwys! This single level beauty is located in prime location and features tons of upgrades! Open floor plan with beautiful tile throughout and crown mouldings adding more value to this gorgeous home. The cozy living room has shutters and recessed lighting and it opens to an upgraded kitchen with newer cabinets, stainless appliances and granite counter tops. The modern kitchen is nicely extended and opens to a large permitted bonus / family room with recessed lighting and french doors overlooking to the inviting jacuzzi & sparkling pool with a convenient heating system to take full advantage of the pool all year long! The backyard is a Entertainer's Dream with extra space next to the pool for your special gatherings. The backyard was tastefully designed to bring more summer feeling to your BBQ or pool parties. Owners invested a lot of money upgrading this home! Other upgrades include all plumbing redone to copper, all windows redone to double pane, AC unit is ready with the capacity to be used to cool off a second unit if new owners decide to expand & recessed lighting. 2 car attached garage w/ long drive to accommodate more cars w/ an absolutely beautiful curb appealing! Over 1,800 Sq.Ft of living area w/ large lot to expand if desire! Don't miss it!!!" "Location! Location! Located in the heart of Little Saigon business district. 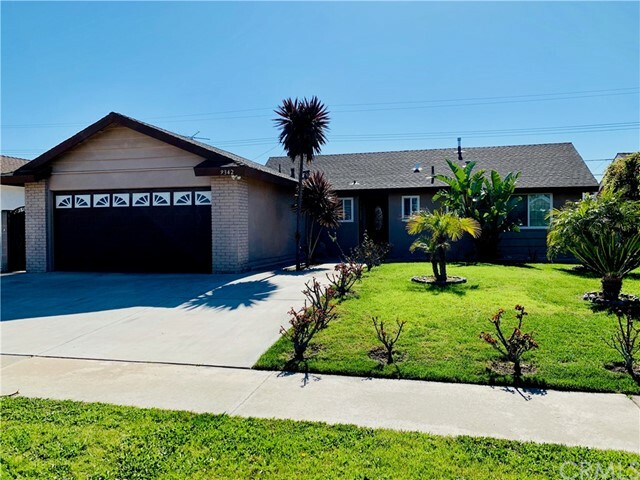 ( Magnolia Street/ Bolsa Ave. ) Newly remodeled home it feature an open floor plan with spacious living room area has recess lighting throughout the house, new laminate wood flooring & base board. New gourmet kitchen with granite counter top, stainless steel appliance , custom tile back splash, brand new cabinet. brand new AC unit & heater. New interior and exterior paint, new shingles roof, remodeled bathroom has custom tile shower, new vanity, and light fixtures. Beautiful landscape with spacious backyard for entertaining guests. Home is within walking distance to ABC supermarket, restaurant, doctor offices, & Asian Garden Mall ( Phuoc Loc Tho) conveniently located near schools. shopping center & Bella Terra mall in Huntington Beach city, easy access to 22 & 405 Freeway." "LOCATION! MILE SQUARE PARK! Bushard/Edinger! 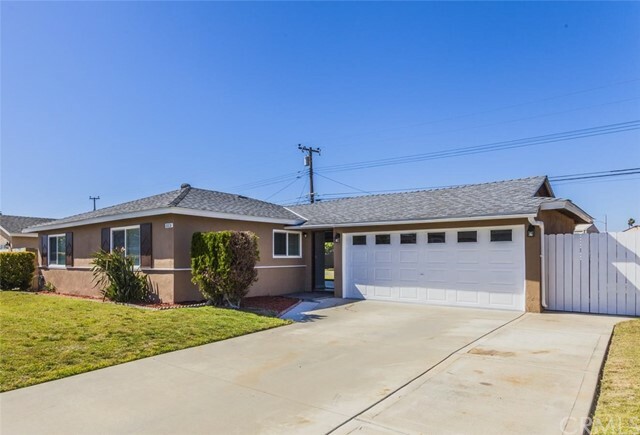 Welcome to your fully remodeled contemporary home located in a peaceful neighborhood! Upgrades include: new tile flooring and recessed lighting throughout entire home, new kitchen countertops/cabinets/appliances/stainless steel sink, double pane windows/patio doors. Master Bedroom with bathroom, 1 bedroom has private door leading to backyard. Entertain your guests in the spacious beautiful backyard and enjoy the large driveway along with a full 2-car garage. As a bonus, there is an enclosed sunroom approximately 250 square feet. The home is nearby schools, supermarkets, banks, and within walking distance to MILE SQUARE PARK!" 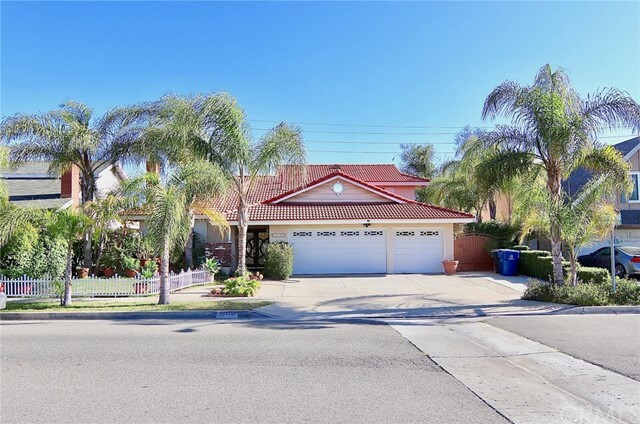 "Lovingly maintained home in good condition, near school, church, super market, fwy..... Wonderful location, and friendly neighborhood in a fantastic school district. Property was rebuilt on 2004 with living square feet is 2256 sqft, large living room, and large enclosed patio. Home is a great buy for investor who would like to live in and can rent out the other for source of second income. You won't want to miss....Come and see before it gone." "Welcome to this newly remodeled gem in the heart of Westminster featuring a brand new kitchen with Quartz counter tops, stainless steel appliances, new kitchen cabinets, recessed LED lighting, and new vinyl flooring throughout. Both bathrooms have been remodeled with designer touches along with new interior paint throughout. In addition to the 3 bedrooms and 2 baths, there is an optional Den/Office complete with a barn door. Centrally located in Westminster, you are minutes away from shopping, dining, and entertainment." "Location ! Location ! Location ! Located in the heart of Little Saigon Business District ( Magnolia St. / Bolsa Ave. ) Home features 4 bed, 2 bath with 2 car attached garage. 1,678 living SQFT. & 6,050 SQFT lot size. Spacious living room for the family to relax & enjoy. Laminated wood flooring throughout the home. Tile flooring in the kitchen and dining area. 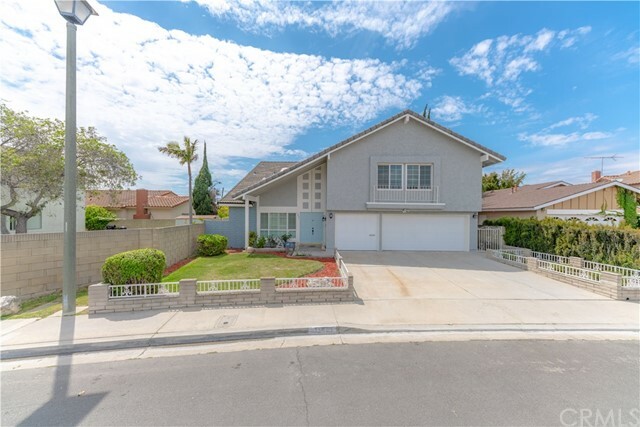 The home is within walking distance to ABC supermarket and Asian Garden Mall ( Phuoc Loc Tho ) conveniently located near schools , parks, easy access to 405 & 22 Fwy and close to Bella Terra shopping center in Huntington Beach." "Welcome to this rare, one story, 2040 Sq. Ft S&S built home. Located on cul-de-sac location. This completely updated home featuring fresh paint throughout, new light fixtures, engineered wood floors and brand new carpeting in each bedroom. The front, formal living room has built-in, custom shelving on either side of the beautiful stone fireplace. You'll love the large, open kitchen and family great-room that features another beautiful fireplace. It has been tastefully remodeled and boasts wood cabinetry, stainless steel appliances, long granite counters-giving loads of workspace, and a pantry. This great-room is the perfect gathering place for family time and with the french doors opening onto the covered patio, it is great for entertaining! Down the hall you'll find the bathroom has been customized with claw foot bathtub, pull chain toilet and custom freestanding sink vanity. The huge master bedroom features a large bathroom with beautiful new quartz counter, vaulted ceiling, 2 closets (one a spacious walk-in closet) and beveled glass, french doors leading to the back patio area. This home features an additional added work room/home office, great for an art studio, crafting or home office. Corner lot location with addition gated side yard parking for RV, boat or additional cars. This home has it ALL & is located in a desirable neighborhood with great schools! HUGE PRICE REDUCTION TO SELL NOW!" 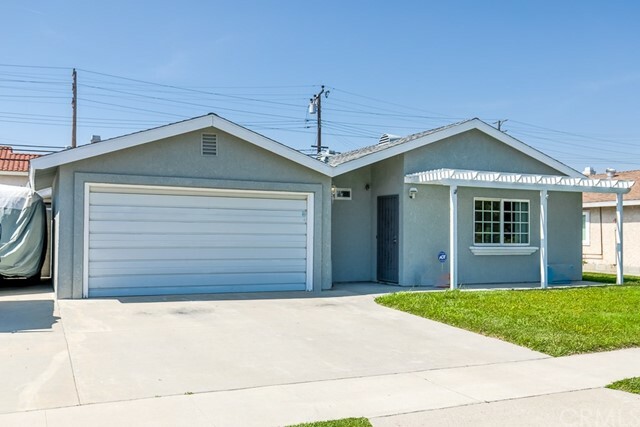 "Enter this lovely single story charmer with an abundance of natural light, vaulted ceilings, cozy fire place in living room and dual pane windows on a cul de sac street. The home features a newly remodeled open concept kitchen with a bay window, self closing cabinets, quartz counter tops with breakfast bar and stainless steel appliances. Enjoy cool evenings under the patio watching your favorite TV programs. The home has newly remodeled bathrooms, new flooring, new roof, new plumbing, Owner Owned Solar and Central Air/Heating with NEST Thermostat. AND you will be amazed by the HUGE private back yard with endless possibilities (enclosed with block wall), PLUS a spacious side yard for storage and/or dog run AND ANOTHER side of the house, is a dedicated area for a lanai and/or fire pit/ BBQ. 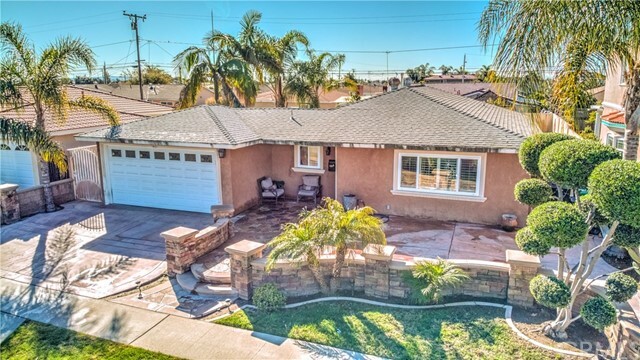 This lovingly cared for home is situated near local parks, award winning schools and a short drive to Huntington and Seal Beach." "MOTIVATED SELLER: Welcome to this Absolutely Pristine 2-year-old Home that shows like a Model, located in a very new soon to be a well-known neighborhood of Westminster. A neighborhood of fine and classic homes. 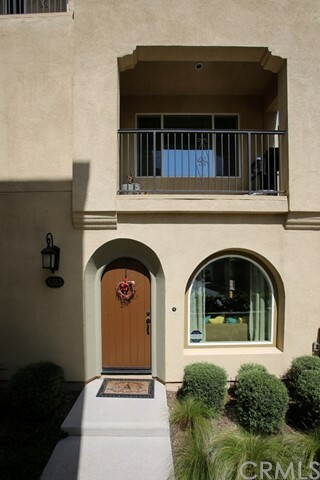 As you arrive you will be greeted by the well-manicured newer landscape that invites you to come in and view its offerings as this 3 bedroom, 3.25 bath, Plan 2 Olsen Townhome home reflects the pride of homeownership featuring 1,798 sq ft (Bld) of living space, Enter through the front door and you will be greeted by a modern yet cozy first floor den/office, As you tour the living area you will enter the family room of natural light, feel the flow from the kitchen to the open spacious living area out to the balcony for your family BBQ. This model like home is Bluetooth ready HVAC, garage door, lighting and security system, White cabinetry, built-in kitchen pantry, recessed soft lighting, Nest thermostat, energy star Whirlpool appliances, laundry area, full counter backsplash, Open Gourmet Kitchen & Island w/ white Quartz countertops, 4 burners free-standing Whirlpool stainless-steel gas range, Whole house water softener, neutral color paint throughout, Private master bedroom w/Pvt mini balcony and many extras, you will not be disappointed by this Beautiful home as it has everything you have been looking for including the entry of directions that a home should offer and it s just minutes to shopping, restaurants, entertainment, quick access to the 405 freeway,"